I have launched a new designer toy line... Cryptorbs... spheres from legend and lore! The Krampus Cryptorb is the first in a new line of designer toys designed and sculpted by Bryan K. Borgman (aka Stratos). Each Cryptorb is hand sculpted with Aves Apoxie Sculpt over a ping pong ball core and manufactured by Acheson Creations. Choose from: "Blood Red", "Brown", "Evergreen", "Gamer Gray", "Orange", "Purple", "Snow White" or "Yellow". Each color matches with the tones of our Kaiju Kaos: Smackdown mini figures. These are hand-sculpted, hand-molded, and hand-poured. We try to offer the highest quality products available but due to the materials used and handmade nature, we cannot guarantee a perfect color match and some mold lines and tiny air bubbles may be present. 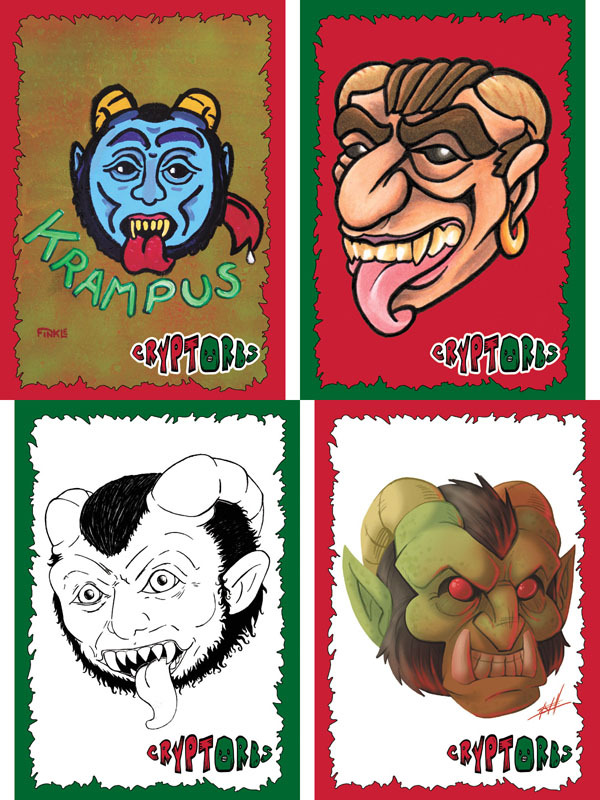 Krampus Cryptorb preorders going on now and are limited to assure USA delivery by Christmas 2016. Preorder ends December 5, 2016 at Noon EST. Our Cyber Turkey Sale is going on now thru Monday. 10% off everything! Use "turkey10" at check out. Includes Smackdown minifigures and Krampus Cryptorbs!